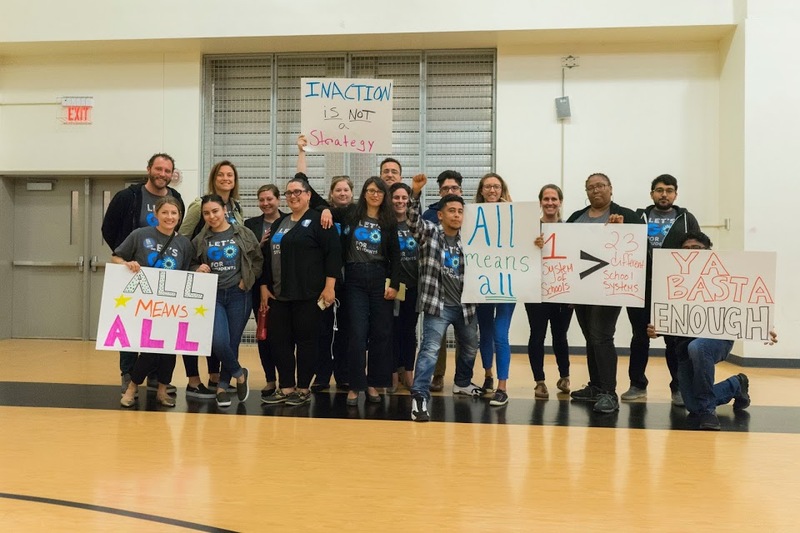 Education advocates across the city agree that Oakland teachers need a big raise. 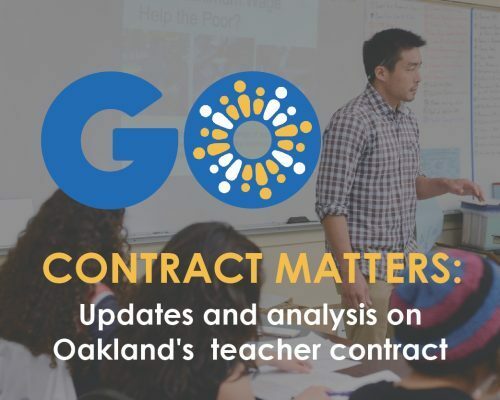 A recent report shows that Oakland teacher salaries are among the lowest in the nation. Now the challenge is in getting the details right. Critical questions include: How much of a raise? Over what time period? Where do the funds come from? 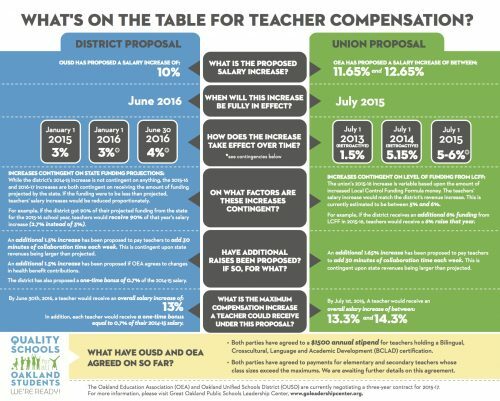 Both the teachers’ union and district have plans on the table to give teachers at least a 10 percent raise in the coming years. That’s a high level of agreement. However, there are some key differences between their proposals. 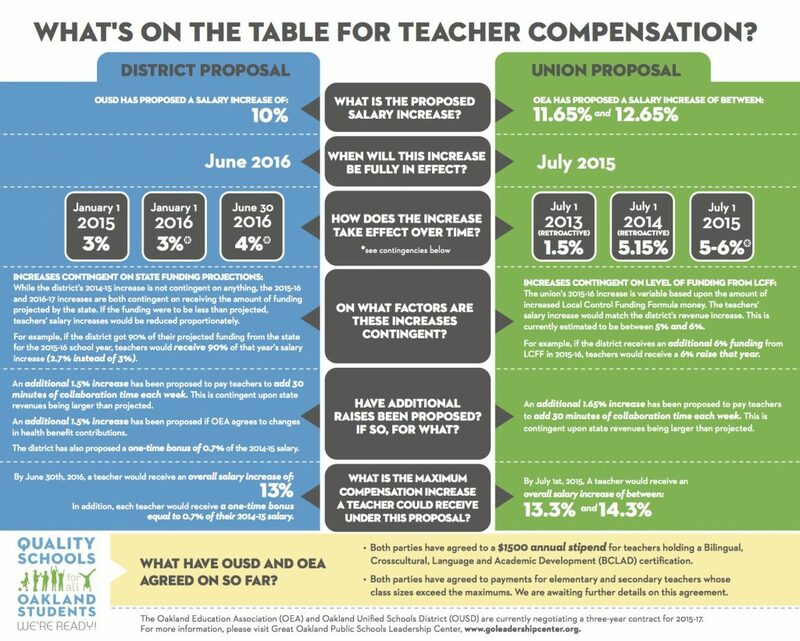 We’ve made a new infographic that highlights these proposed salary changes. Check it out below.